ECM needs to embrace a holistic approach to managing the entire lifecycle of document creation, sharing, consumption, reuse, knowledge, and records management, archiving and disposal. Content Services covers the first mile as well as the final nine of a document's lifespan. We call this content velocity – as content moves through an organization it gains value as it accelerates information discovery. Content Services is people-centric – allowing for personal management (copy/move, hashtags) and organizational management (knowledge management, retention and records management, information lifecycle management). Need to know more? Download our white paper “Modernizing Enterprise Content Management with Microsoft Content Services” and learn more about our broad range of content capabilities. Security and compliance questions? Just look at our white paper “File Security in SharePoint and Office 365” for an overview of security and compliance best practices. Get started by downloading our free eBook about content services in Office 365. Learn more about Microsoft's Content Services in our new interactive Sway presentation – with enriched videos and graphics. Content is your organization’s most critical digital asset. See firsthand how we continue to push Enterprise Content Management (ECM) forward into the modern content services world. SharePoint in the cloud is far more performant than classic server-based platforms. In this session, get a tour of our latest and upcoming innovations for reusing, creating, collaborating, and protecting information through its lifecycle. SharePoint has numerous key ECM capabilities (intake, content types, bulk edits, retention, data governance labels) across each of these scenarios to make content management easier and more manageable. If you're a partner, or looking for one, check out our Microsoft Content Services Partner Program. Case study spotlighting use of Office 365 for content creation and sharing to generate new content with internal and external partners for creative briefs. Learn more about how our customers and partners achieve more in content services with our case studies resource page here on the TechCommunity. Learn about all the compliance and industry certifications offered in Office 365. This white paper assists Microsoft’s life science customers in establishing a qualification strategy for Office 365. We outline the responsibilities shared by Microsoft and its customers for meeting the regulatory requirements of the FDA. Learn more about how to manage large pools of content in Office 365 with this self service demo. It's a tour of OneDrive publishing, Flow, metadata editing in Word, the filters pane, file previews, attention views, bulk editing, data governance labels, and communication sites. 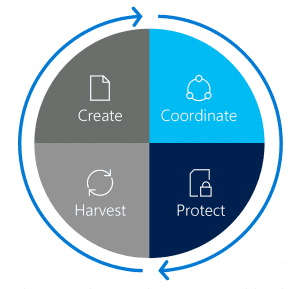 SharePoint is a great home for your content - and Microsoft Graph makes it simple to find the right pieces of content to insert into new Office documents. Watch the keynote from Microsoft at SPC North America in Las Vegas, Nevada on May 21, 2018.